Groundplan’s on-screen fire takeoff software operates completely in the cloud, so you can work seamlessly from your internet browser from anywhere in the world. 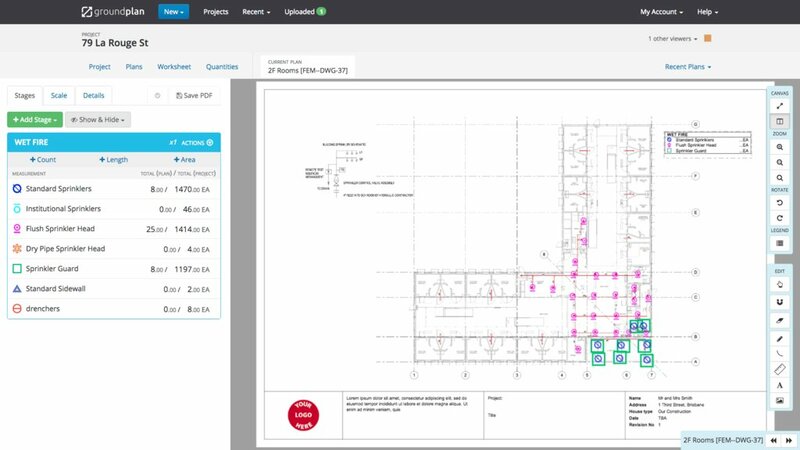 Simply upload your plans, set your scale, and use Groundplan’s intuitive tools for speedier fire takeoffs and estimates. With more than 100 standard symbols in Groundplan, fire plan design is a breeze. Place, edit and delete symbols, and add text boxes, images, legends and more – you’re in complete control. 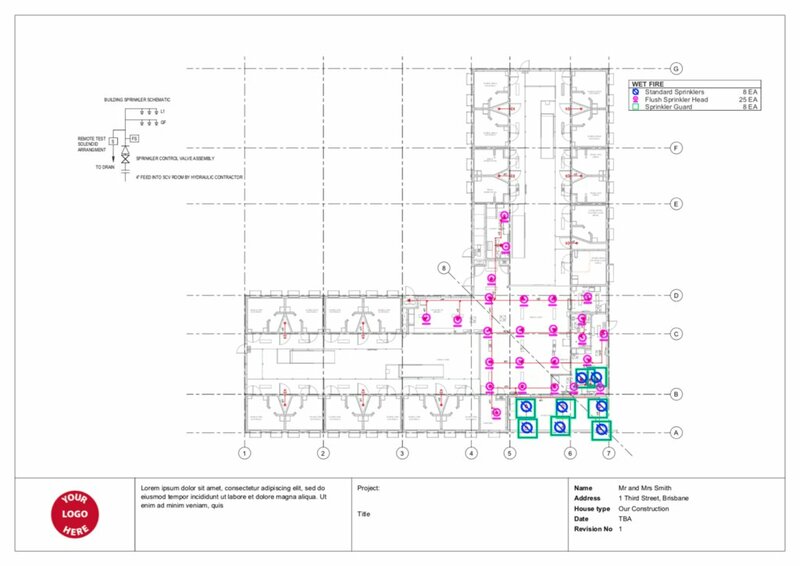 Once all symbols are placed in their right position, Groundplan automatically counts them for you. Count or measure an item in Groundplan and it can be costed – and labour quantified – at the click of a button. 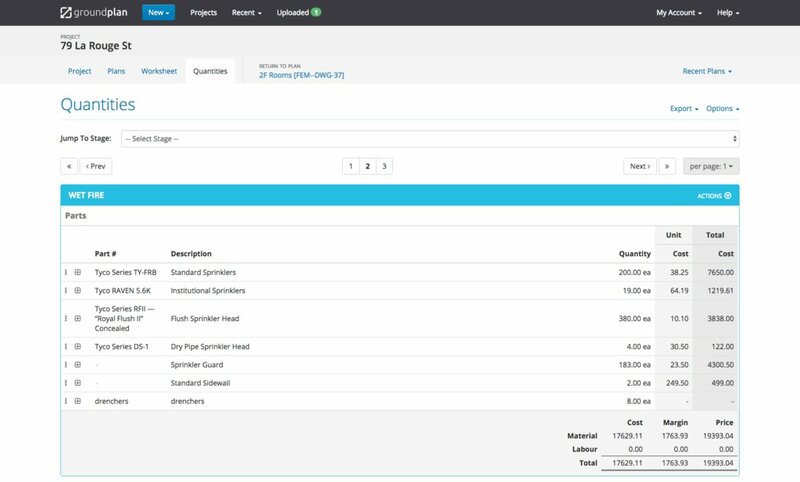 Save time and improve your estimates’ accuracy every time.